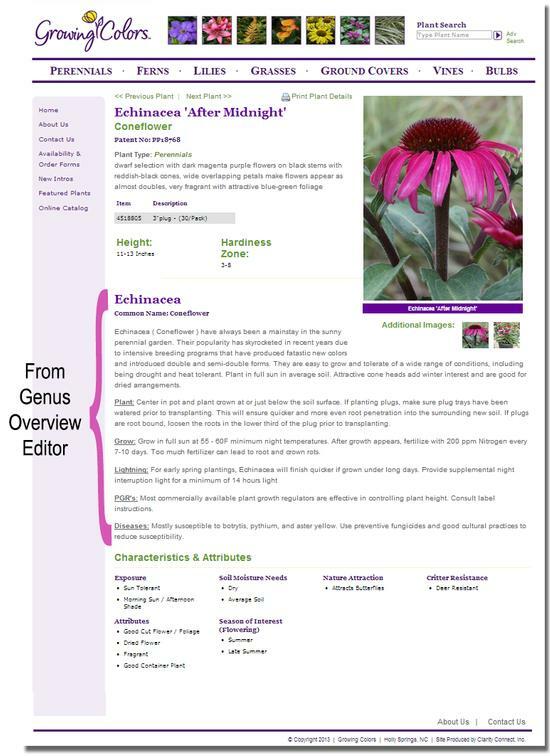 The information entered in the Genus Overview Editor can be displayed on all relevant plant detail pages. The Genus Overview information for Riverbend is for the consumer or home-gardener. 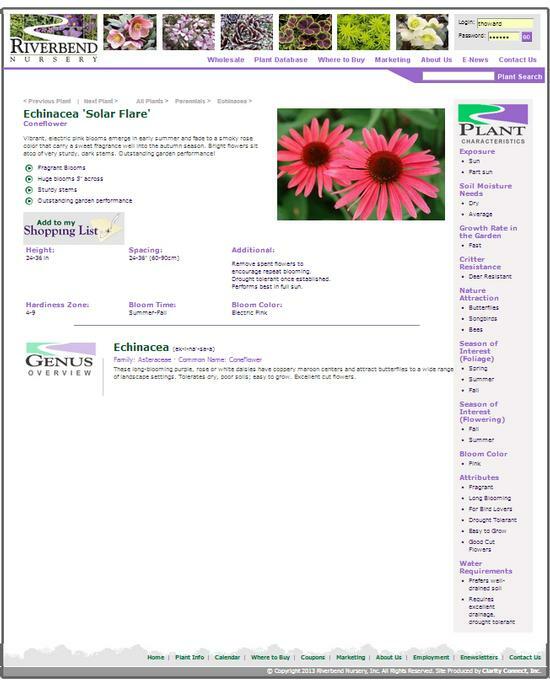 In this example, the tool is being used for 'Echinacea' (Genus level). The next image shows to tool being used for 'Echinacea purpurea' (Genus Species level). You decide which method is best for you. In this example, the tool is being used at the 'Genus Species' level. 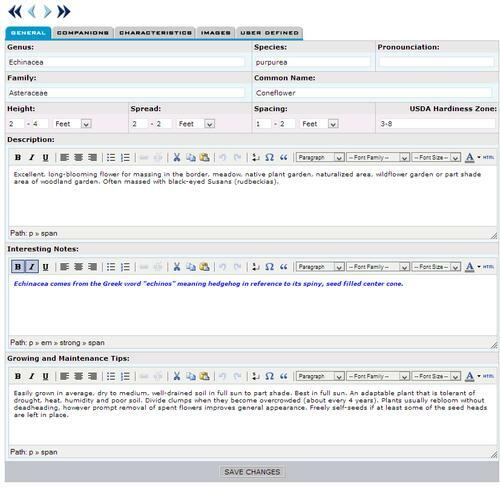 Quickly add 'Genus' or 'Genus Species' specific information to all of the relevant plant records in your Plant Database Manager. 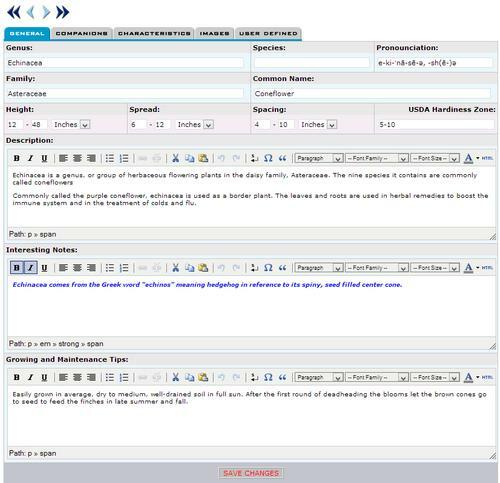 You have the option of defining a genus and have that information displayed as a genus section header (see the first image at the right) or to duplicate the information on corresponding plant detail pages (see the 2nd and 3rd images). Please give us a call if you would like a demonstration of this technology.